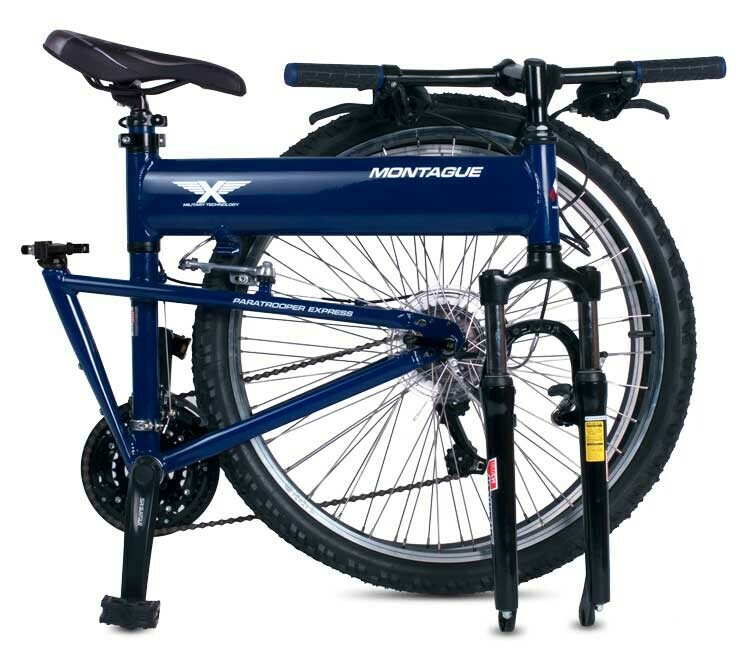 The Montague Paratrooper Express is a full-size foldable mountain bike featuring front suspension supplied by a SR Suntour fork with 63mm of travel. 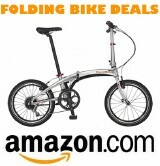 This affordable folding bike is perfect for bike paths, light trails, or a rugged commute. 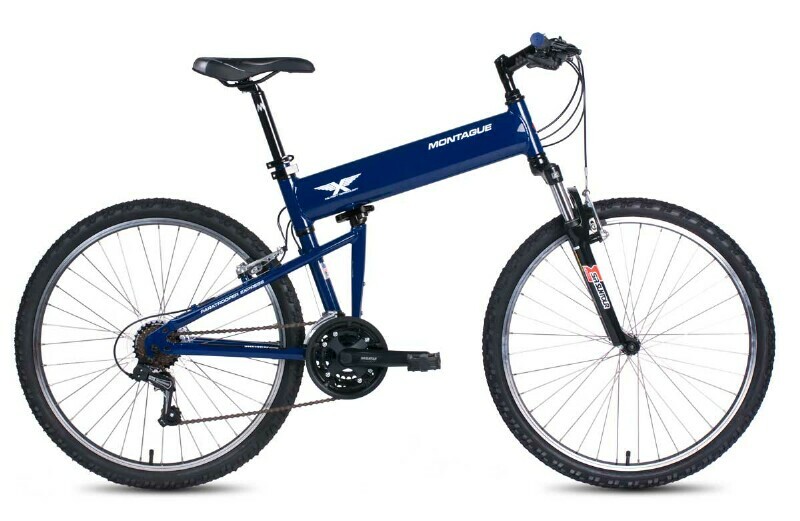 36" x 28" x 12"